If you are of a particular generation (cough, cough) this will not sound like an odd recipe at all. But, more recent generations may have never heard of it so I’d love to introduce you to this beauty of a cake. This cake should never, ever be forgotten or lost to recipe history. Basically because it is darn good. Darn good! It requires no eggs and no oil. Say what? Yup. That’s where the mayonnaise comes in. I mean, that’s what mayonnaise is; eggs and oil. It makes this cake SO incredible moist. 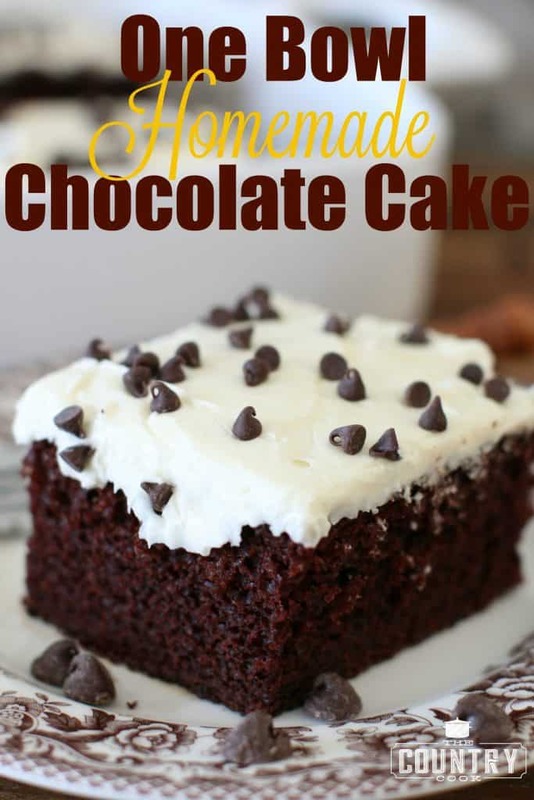 If you need a go-to homemade chocolate cake, this is it! It is hands-down THE BEST chocolate cake you will make. Also, just so you know, you don’t taste the coffee in this. It just accentuates and deepens the chocolate flavor. I learned that little trick from Ina Garten and it really does work. If you don’t keep coffee around, no worries, just leave it out. 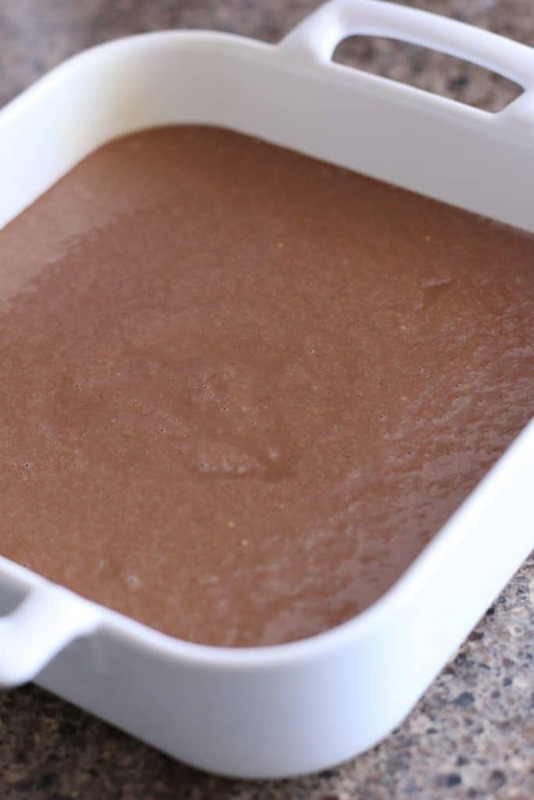 You’ll still have a moist and yummy chocolate cake! Preheat oven to 350f degrees. 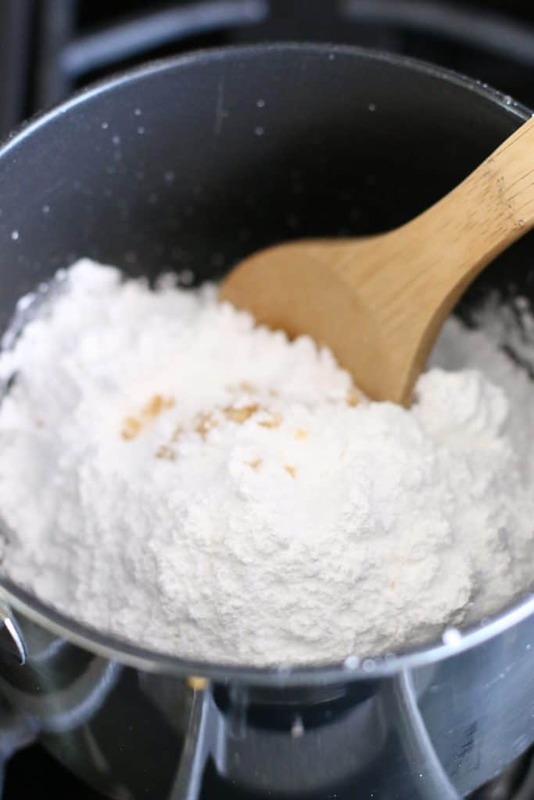 Spray a 9×9 square pan with nonstick baking spray. 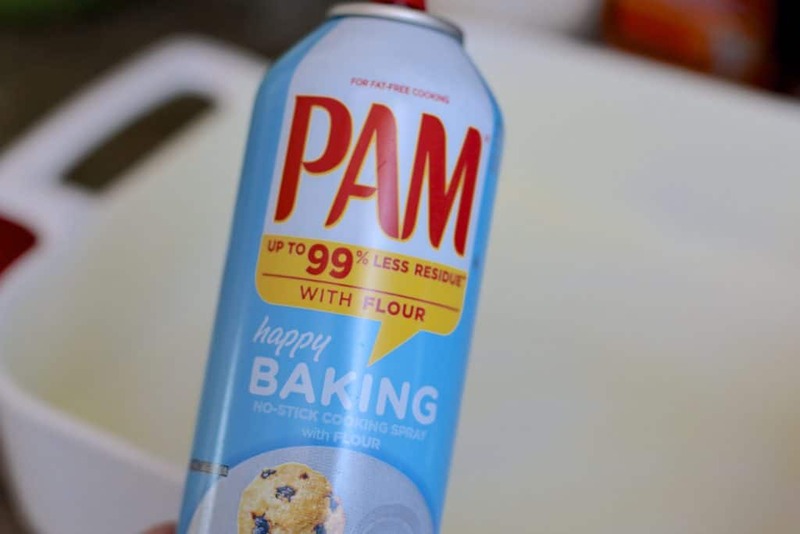 I like the kind of nonstick spray that has flour in it. It makes removal so much easier. 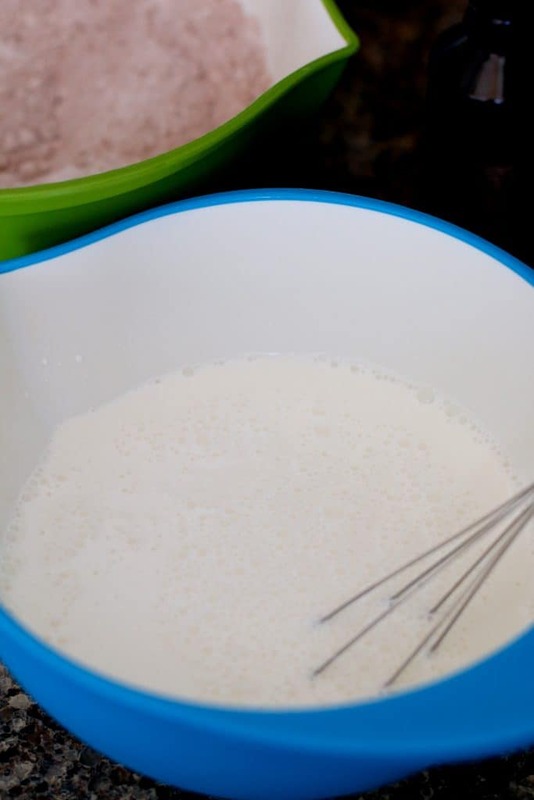 In a separate bowl, whisk together water, mayonnaise, vanilla extract and coffee. You just want to use plain, brewed coffee – no additional milk or sugar added. If you don’t have coffee, just skip this step. Now, slowly add the liquid mixture into the dry ingredients. Once the cake is finished, start preparing the frosting. 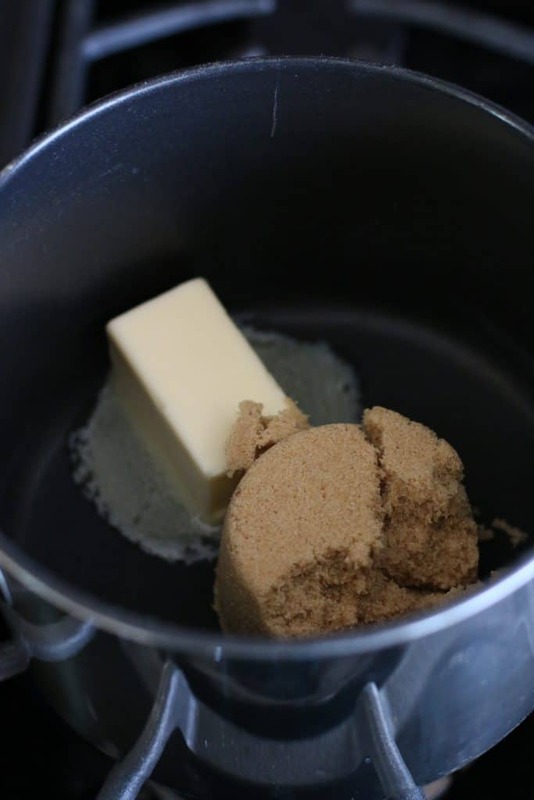 In a medium saucepan, over medium heat, combine brown sugar and butter and cook until bubbly. 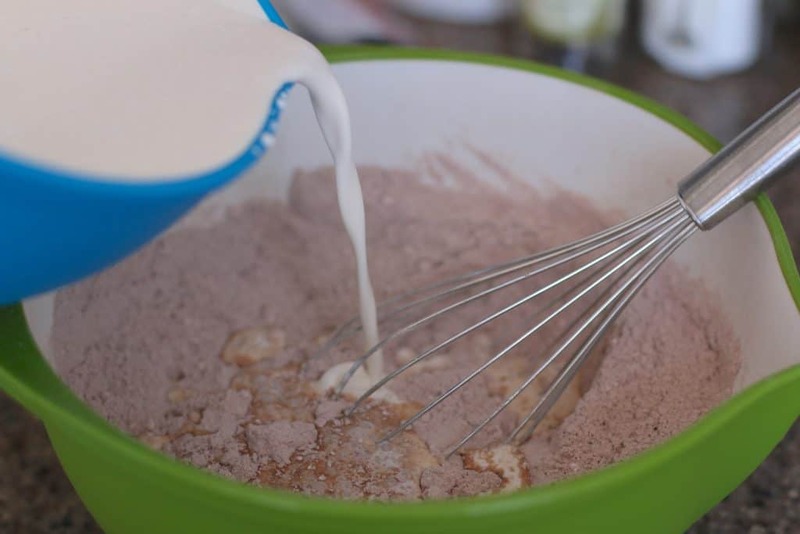 Be sure to whisk constantly so it doesn’t burn. 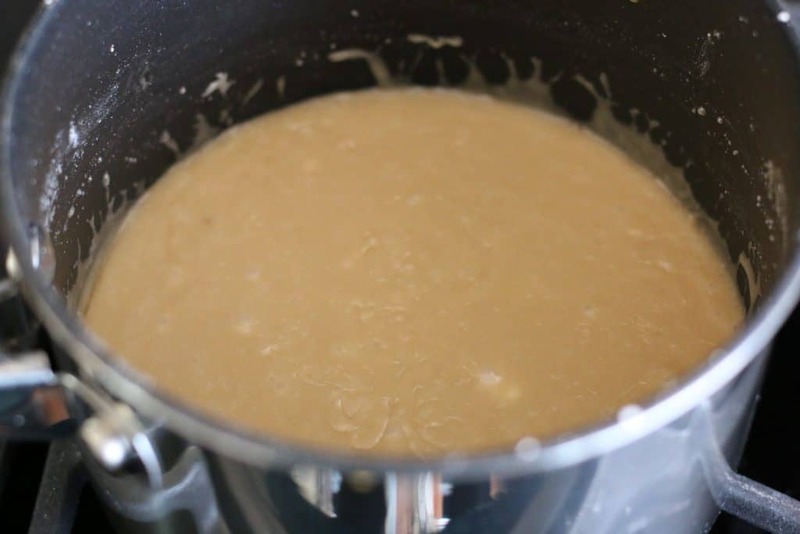 Take off the heat and stir in the milk. 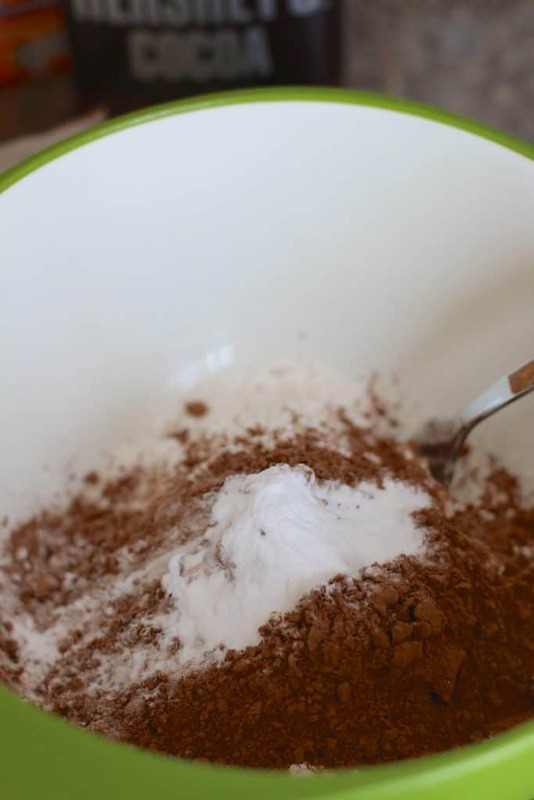 Then gradually add in powdered sugar. Now, frost the cake! Note: The cake doesn’t have to be cooled completely to top with this frosting. Work quickly. The frosting hardens fast as it cools. 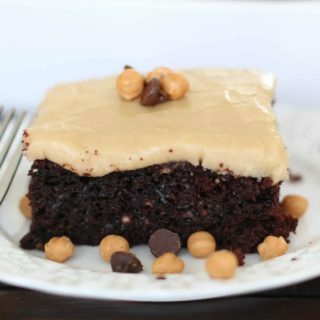 I just added some chocolate and caramel chips to each serving just to make it pretty. Spray a 9 x 9 square pan with nonstick baking spray. You just want to use plain, brewed coffee - no additional milk or sugar added. Slowly add the liquid mixture into the dry ingredients. Bake for about 30-35 minutes (until a toothpick inserted comes out clean). 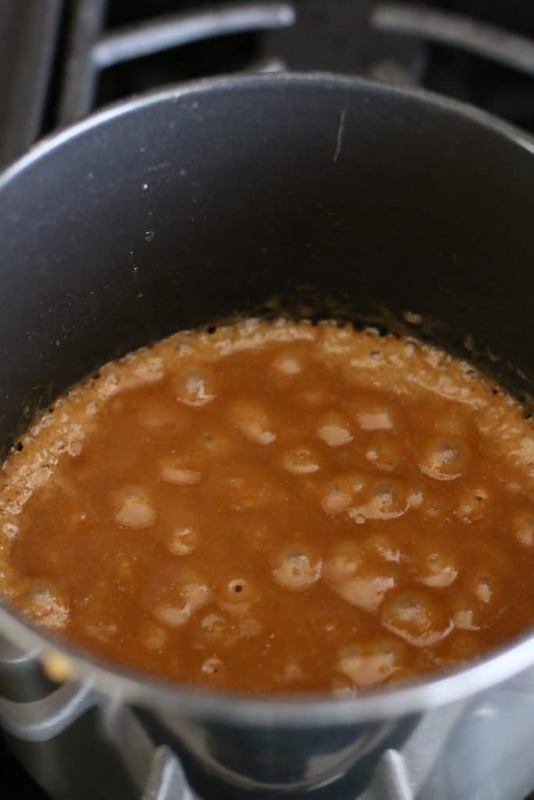 In a medium saucepan, over medium heat, combine brown sugar and butter and cook until bubbly. 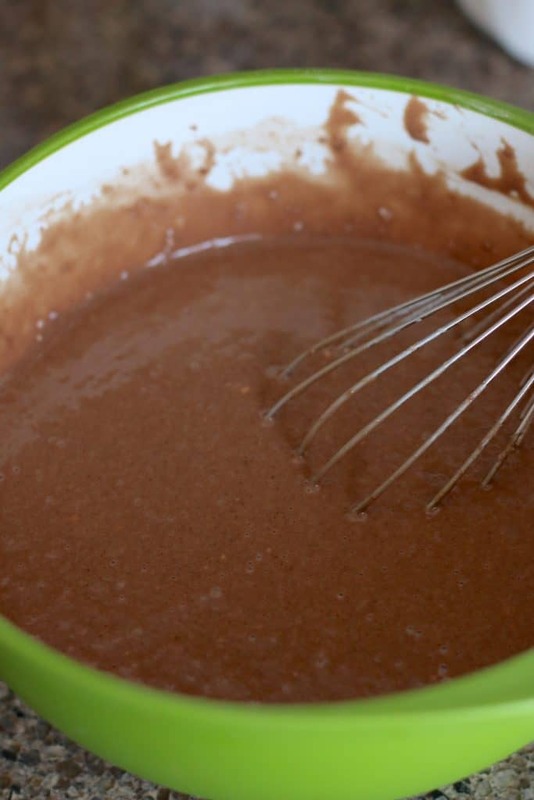 Be sure to whisk constantly so it doesn't burn. 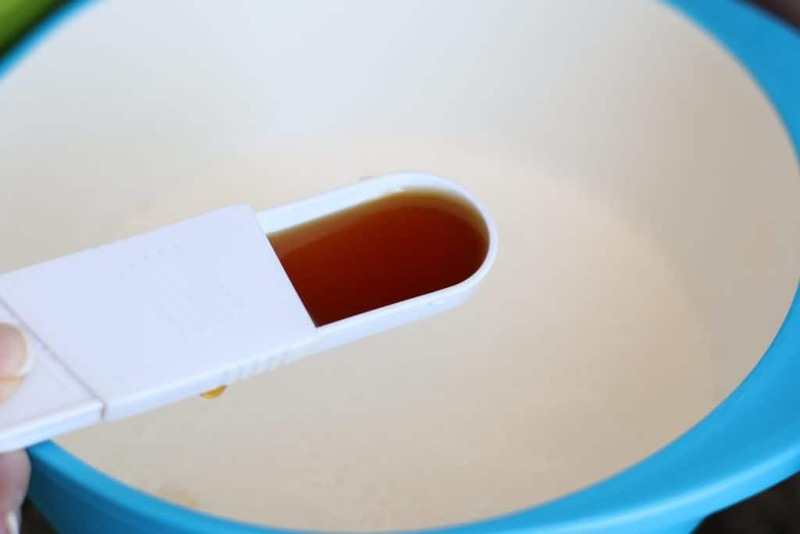 Take off the heat and stir in the milk. Then gradually add in powdered sugar. 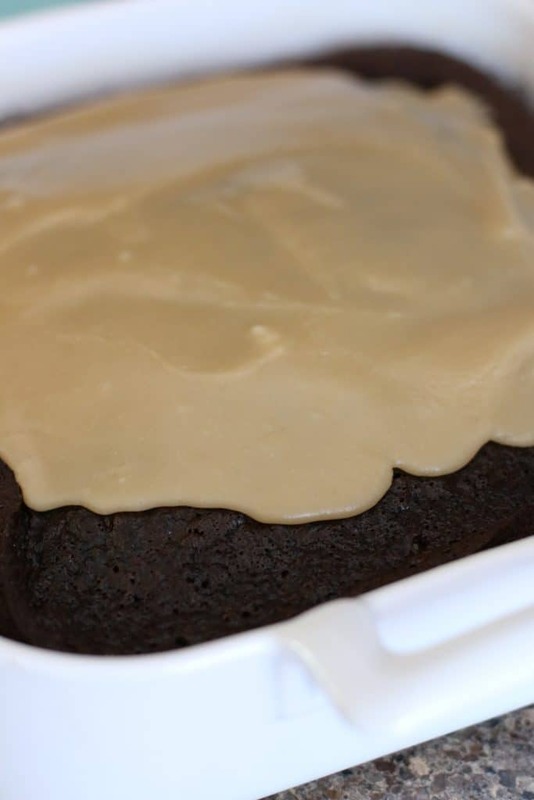 The cake doesn't have to be cooled completely to top with this frosting. Work quickly. The frosting hardens fast as it cools. I have made this cake all my life. Made it in Home Ec class way back in 1974. It is amazing. My Mother (god rest her soul) made this cake for me for my birthday every year since I was 3-4 yrs. old! 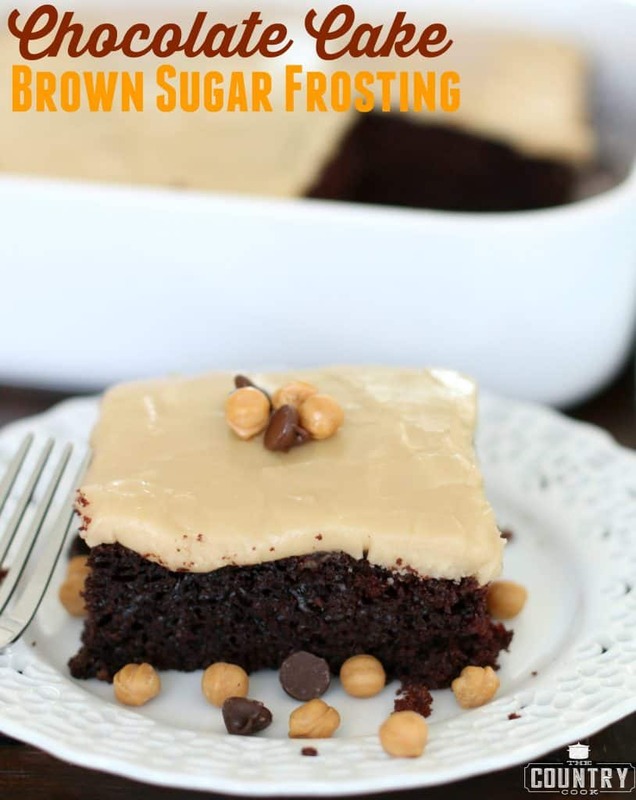 Super Moist & Indescribably Delicious!!!!! No other cake in this world can compare to the beautiful taste and moistness of this cake!! Sometimes Mom would use a homemade buttercream frosting. Either way – DELICIOUS!!! Margie – what a precious memory! And what an amazing Momma!!! I have a question. 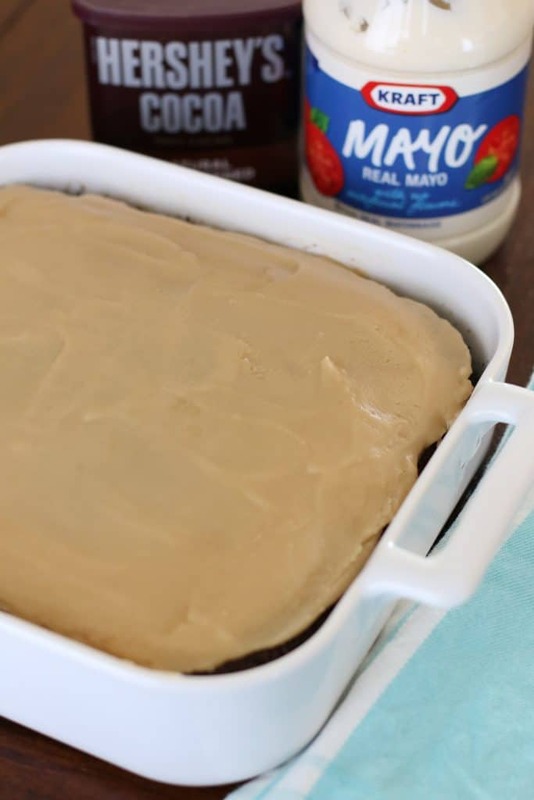 Can you use “Light” Mayonnaise to make this cake?? I am dying to try this and all I have in the house is the light mayo. If someone can email me the answer that would be great. 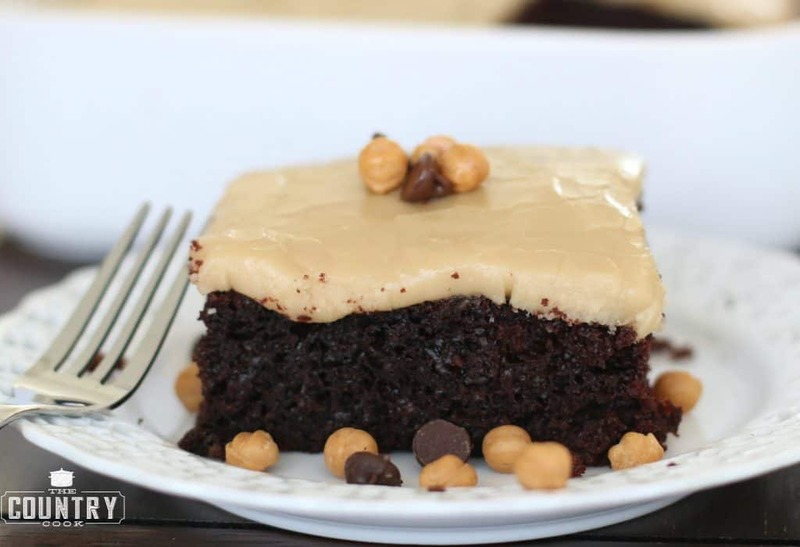 I am pleased that you use coffee in this cake, coffee really brings out the chocolate flavor!! Good, but the frosting was practically unreadable. I had to double the amount of milk to make it spreadable. Most people who tried the cake said it was delicious. Isaiah, thanks for commenting. It’s definitely one of those frostings that you have to put on the cake while it is still warm so it will spread easier. I made this cake day for the first time as cupcakes. Same temp for about 28 min. They turned out great! The frosting not so much! We only had dark brown sugar tho -and it was not smooth at all. Tasted great though. Any ideas why? I make this with either Mayonnaise or Miracle Whip, educed I have the most of. 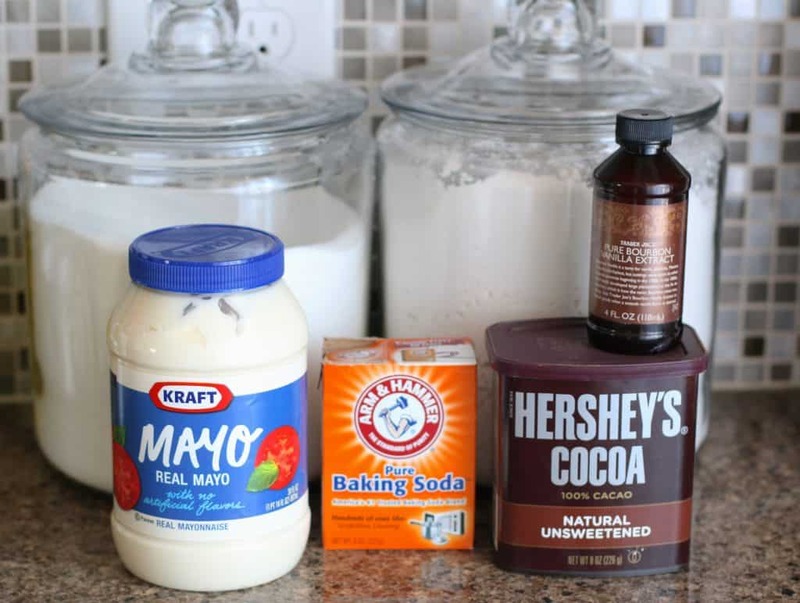 My husband loves Miracle Whip & I prefer Mayo in everyday foods. I must admit I prefer Miracle Whip in the cake! Either way, this cane is THE BEST! I make this cake at least once a month we love it. I made a change and instead of using the water I use a cup of black brewed coffee and it’s so moist and brings out the taste of the chocolate even more. 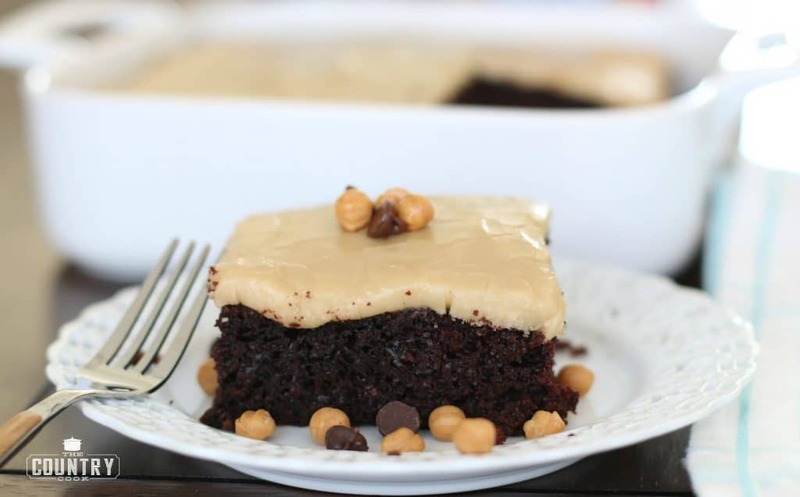 It’s a great recipe and i’m glad that I found a smaller recipe for it because the full 2 8 inch cake recipe is just too much for just the two of us all at one time.